The 2010 City at Your Feet Scavenger Hunt is Saturday, July 13. Registration opens soon! Exclusive lead sponsorship of Portland’s only active transportation scavenger hunt. Your logo and business listed on print map distributed to each participant. Recognition in print and web marketing materials, reaching 10,000+ households. 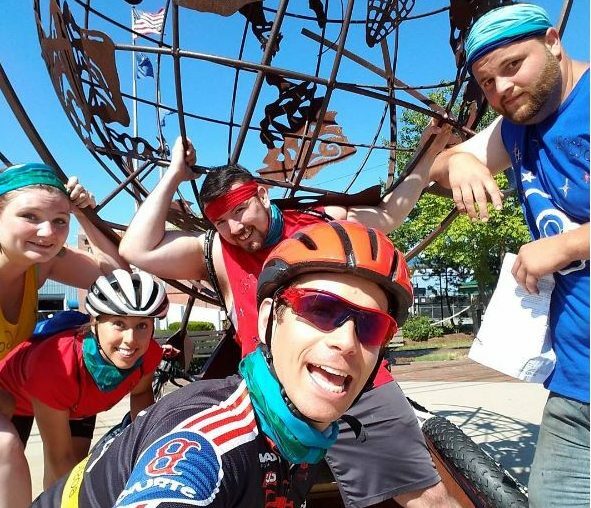 Opportunity to host a clue on the trails. Invitation to have a table at after party. Option to include branded swag in prize bags. 2 free team entries, up to 12 people total. Opportunity to include branded swag in prize bags. 1 free team entry, up to 6 people total.